As a business owner, you’re already taking big risks – hiring employees, investing in necessary renovations, purchasing merchandise; the list is endless. You’ve put so much time, money and effort into your business, the last thing you need is to worry about whether you have the right business owner insurance to protect your business should the need arise. Unfortunately, it’s impossible to predict when a fire or other disaster might wipe out your business and your ability to earn a living – or when a lawsuit might result in lawyers pursuing your assets. 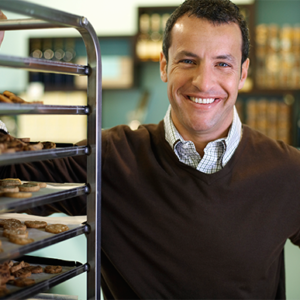 Protect your piece of the world with a Business Owner Policy from MMG Insurance. Your Business Owner Policy gives you the convenience – and cost-savings – of being able to purchase property and liability coverage together, preventing a law suit from turning into a financial disaster; and protecting your business from losses resulting from property damage. What if you are out of work for a period of time due to an accident or a natural disaster that has destroyed your building? The policy also provides coverage for lost income. MMG offers this outstanding plan to all kinds of small to medium-sized business, from art galleries to offices, light manufacturing to family style restaurants and self storage facilities. Specific coverages included in the policy. How you can tailor the policy to meet your specific business needs with a wide range of optional coverages. The Business Owner Valu-Paks, which provides a wide range of coverages for a nominal annual premium.